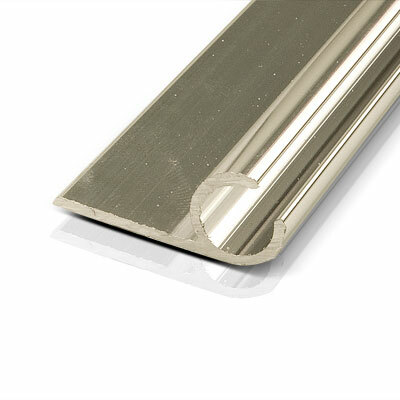 This sturdy aluminum awning track must be installed onto a straight edge. 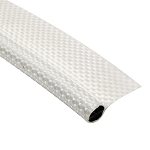 1 1/8" wide by 5' lengths with satin aluminum finish. Our 5/16" Keder welt is used with this track. NOTE: The tracking comes in 10' lengths for pick-ups only. Due to shipping constraints, we cut the track to 5' lengths. The saw cut leaves a burr which will need to be filed off. 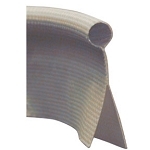 Q: What is the inside diameter and the width of the opening of your awning track. part # awn001? A: The inside width where the rope or awning cord goes through is 3/8". Q: I see the opening for the rope or awning cord to go through is 3/8" but what size is the inside diameter of the actual track that the awning slides into? Q: Is the 8.15 the charge for a 5 ft length? Q: how long is the awning track rail? For in-store pick-up, we have them in 10 footers.